Okay, so it's hard for me to admit, but our son is turning the big FOUR OH next week. I mean, we can't possibly be old enough to have a kid that's middle aged, right? So I just HAD to use the pig out of the retired From the Herd stamp set. 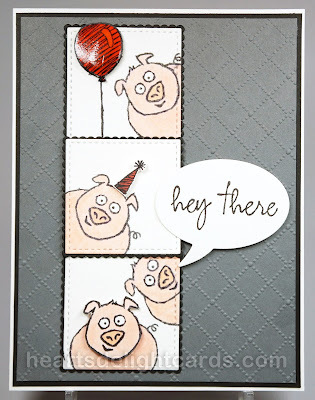 Not only because, well, PIGS, but because it's one of the funniest stamps I've ever seen. Seriously; that goat! And the llama! I carefully used a marker to ink just the pig out of the whole herd because I wanted them to be looking in from different angles without any background distraction. Except for the one who is photo-bombing the bottom panel. I crack myself up sometimes! 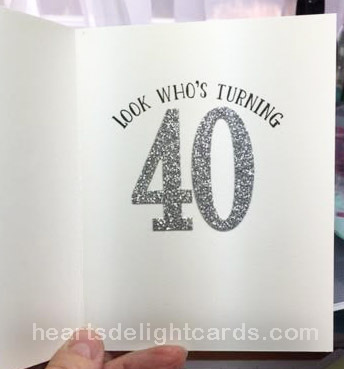 The greeting is from the very first Paper Pumpkin kit, die cut with the retired Word Bubbles Framelits, and the embossing folder is from Darice, called Wire Fence. The balloon, party hat, and the head of the bottom pig are popped up on dimensionals, and the inside sentiment is from Number of Years, with Large Numbers Framelits die cuts. 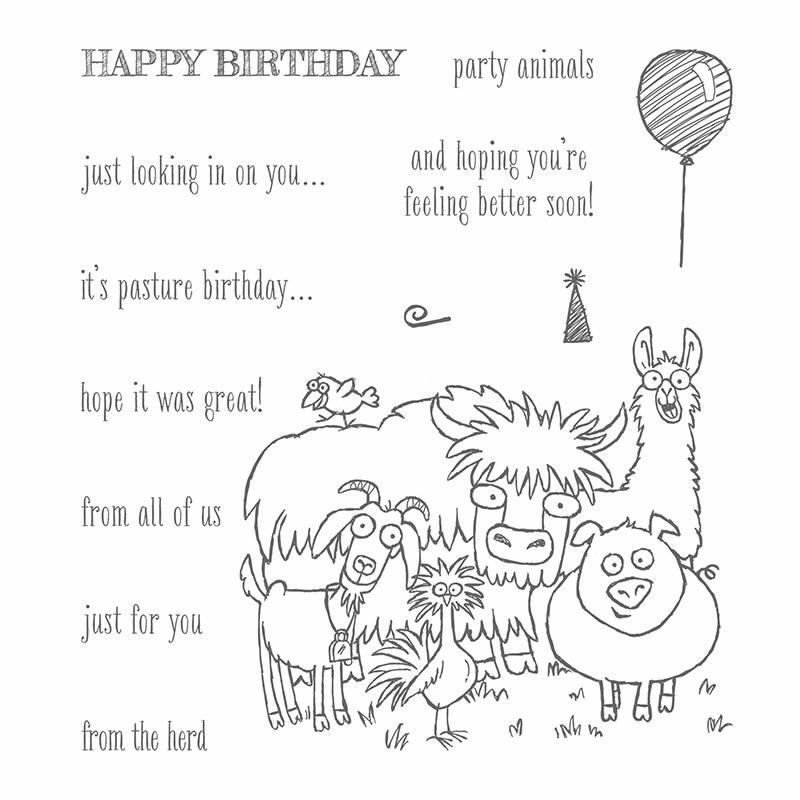 Labels: Birthday Card, From the Herd, Photo-bomb, Pigs, Stampin' Up!